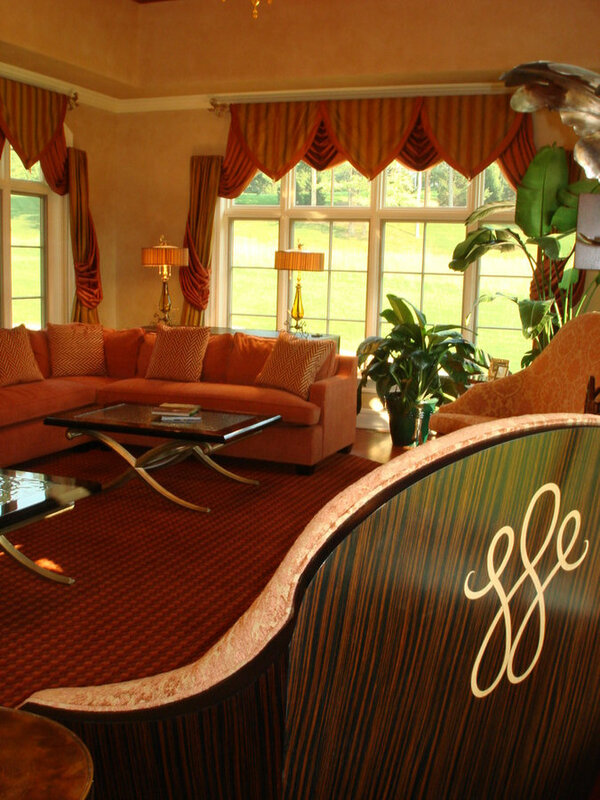 To provide seating, we designed a custom 20 foot long sectional. 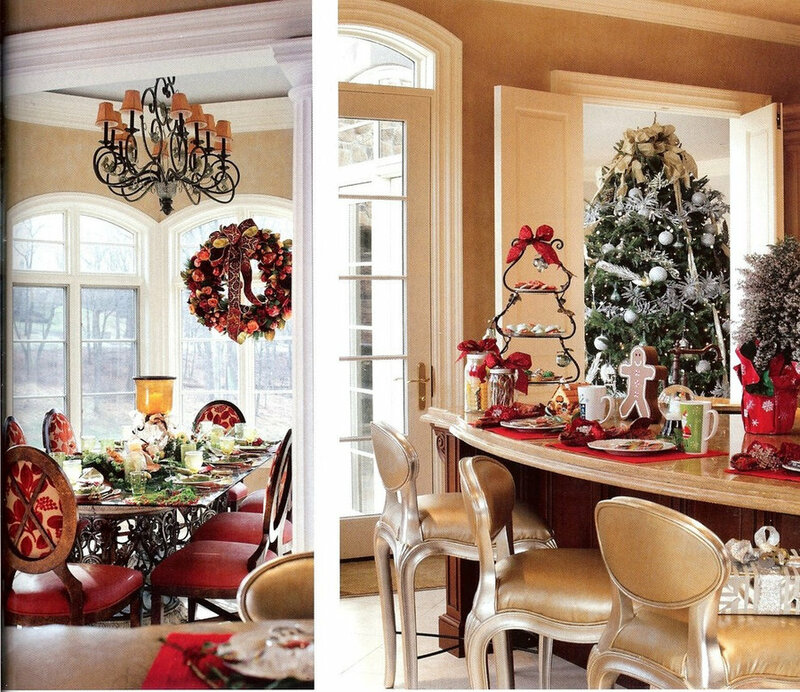 Our butterscotch infused glass murano chandeliers added to this glamour. 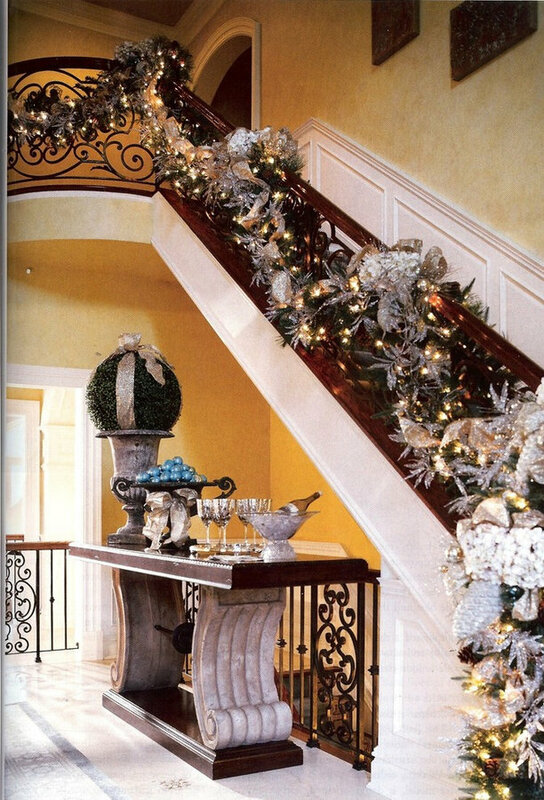 The walls are fauxed to look like stucco. 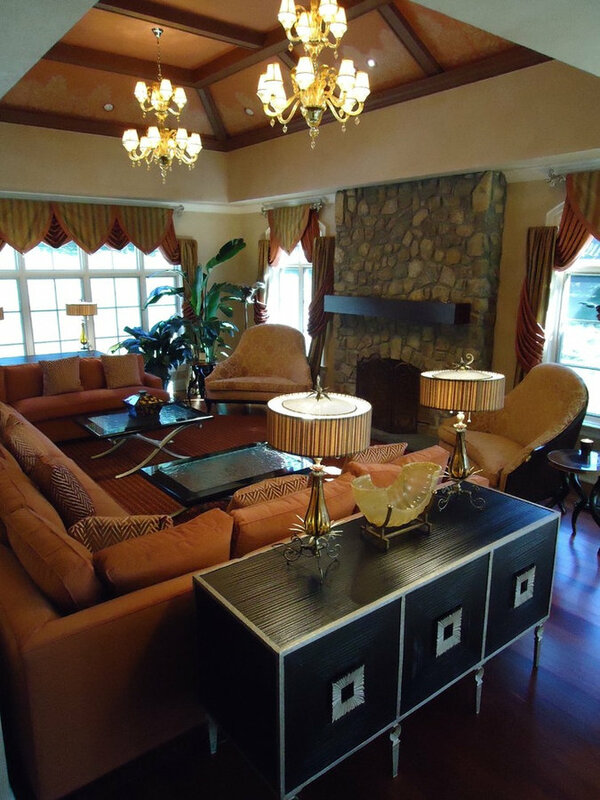 In the Great room of this mediterrean villa, we used a pair of flair arm double settee in zebra wood. The rug is a contemporary raised button woold carpet in orange, terracotta and rust. General seating was created with custom sectional in a terracotta fabric. 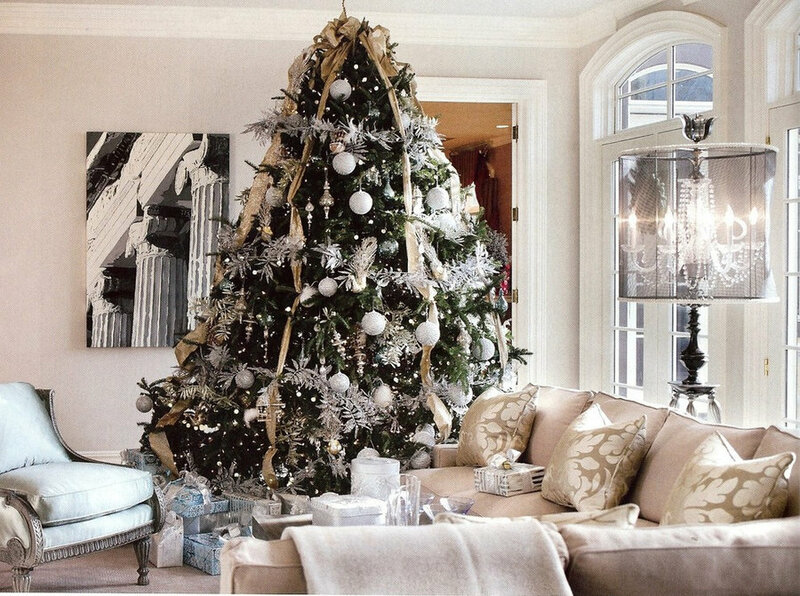 The pale grey linen sectional set the backdrop for the magnificent Christmas tree with hand blown ornaments. 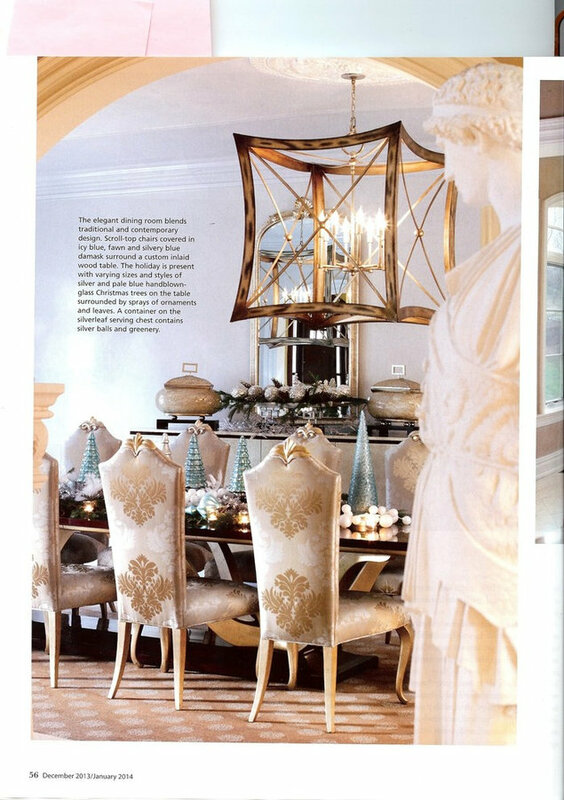 Our accent color is pale blue silk on the ornate French chair. 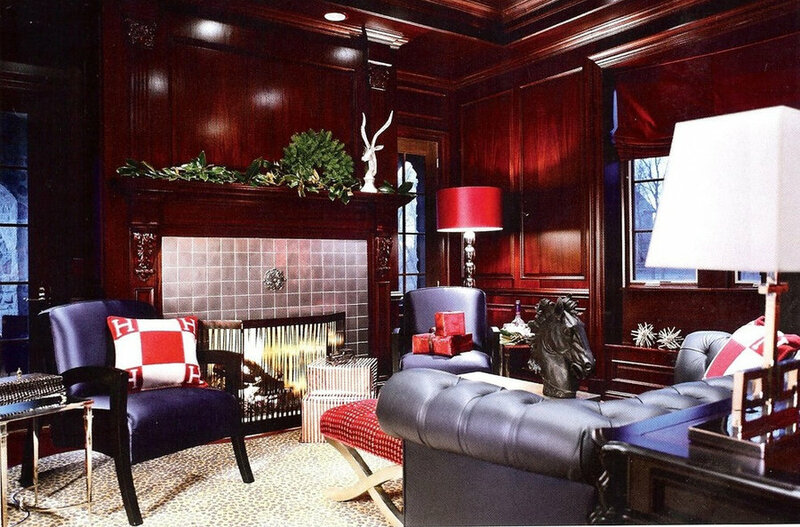 We introduced a navy lepoard carpet, with a tufted navy sofa in front of the working part of the desk. 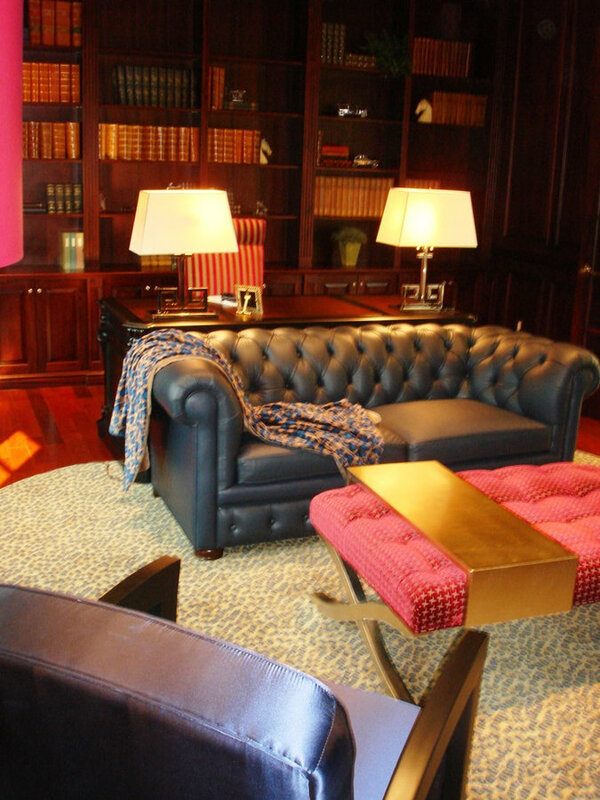 For the coffee table we used a tufted ottoman with in a shocking fuscia with a sliding tray in silver. 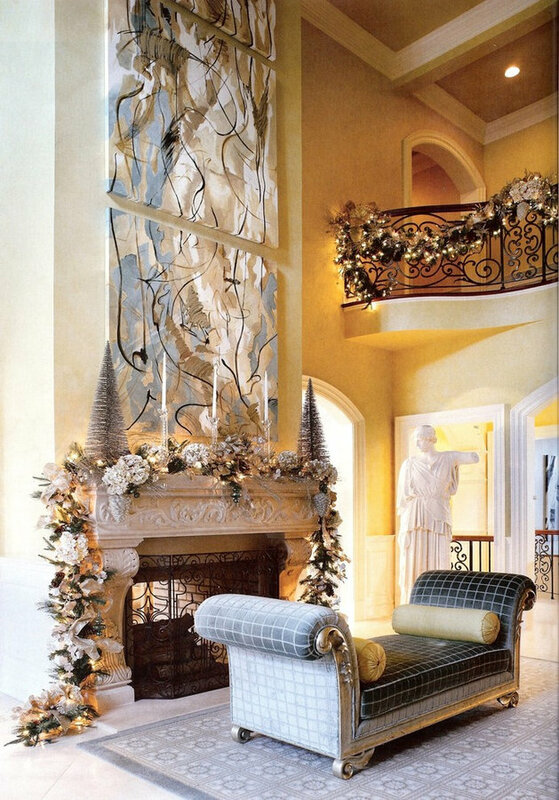 The flair arm zebra wood settee's flank the stone fireplace. 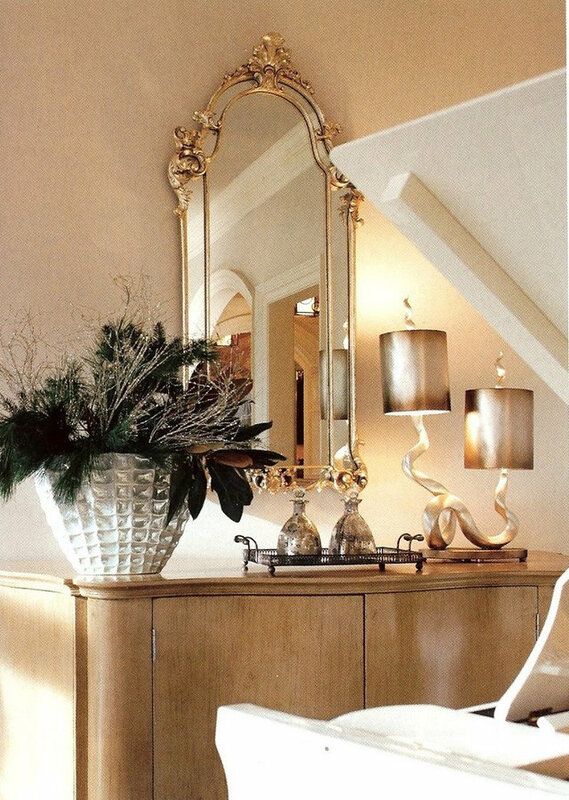 As a side table, we used a horn table with copper top next to the floor lamp. 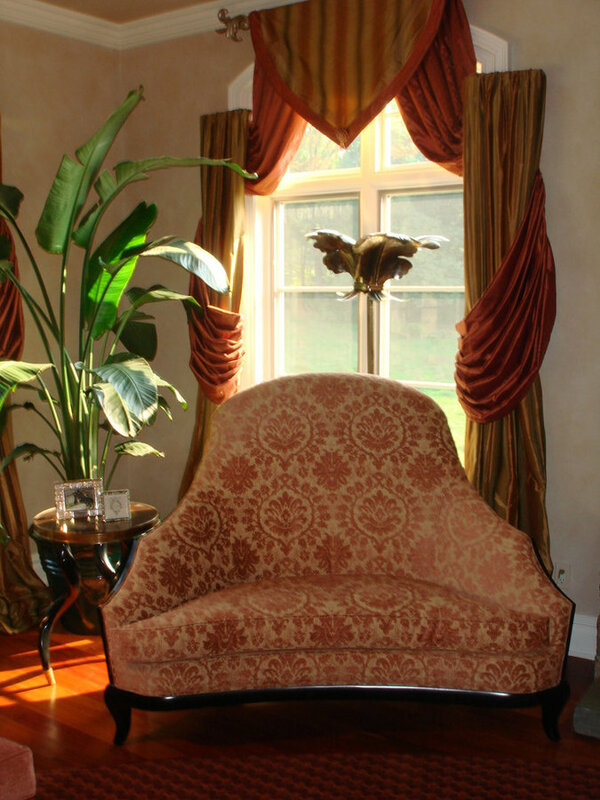 The window treatments were designed using two complimentary silk patterns.